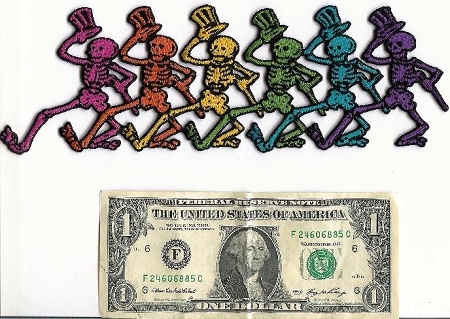 This dancing skeletons embroidered patch measures approx. 3" x 9" . It would look great on the back of a jacket and can be ironed on or sewn on. Officially licensed Grateful Dead merchandise.